It brings me great pleasure to publish an Interview with the Agent piece about Austin Walton. Not only is he a driven, young individual in the sports agent business, he is a former intern and independent contractor at Dynasty Athlete Representation. It has been fun for me to watch his rise in the business of basketball. I hope to see him have his first WSMG client drafted in the NBA very soon, which I hear is very likely to happen this week, on June 23, 2011. The following is a recent interview that I conducted with Walton. I thank him for spending the time to answer my questions. Darren Heitner: When did you start Walton Sports Management Group (WSMG), and what drove you to create your own company? Austin Walton: I started Walton Sports in the middle of 2009. I decided to start WSMG at that point because I felt as though I had enough experience, the requisite contacts, and ultimately I wanted to create and run an agency according to my values and core beliefs. Darren Heitner: How old were you when you started WSMG? Were there a lot of people who doubted you? What were common things that people said to you? Austin Walton: I was 25 when I started Walton Sports, which is extremely young in this business. I have been told that I am the youngest CEO of a basketball agency and with that comes a lot of doubters. Many people thought that I should have continued to gain experience learning from others. Others thought that I would not be able to compete against big agencies for top prospects and they would use my age against me. Last, in this business where being unethical is the norm and having runners recruit for you is commonplace, people thought that it was silly for me to think that I could do this honestly and on my own essentially. Darren Heitner: Tell us about your educational background, which includes a bachelor’s degree, Masters, and J.D. Austin Walton: I received my Bachelor’s in Business Administration from the University of South Florida. Then, I went on to receive my Master’s in Sports Administration from Valparaiso University before finally getting my law degree from South Texas College of Law in Houston, Texas. Darren Heitner: Prior to starting up WSMG you interned at Dynasty Athlete Representation and then ran its basketball division. What would you tell others looking to break into the industry with regards to internships with an agency? Austin Walton: I think that an internship is the only way that you can break into this business unless you were a former athlete or have countless of connections with athletes. As an intern you truly get to see how an agency is run from the inside. You get to see how hard this business truly is. It is nothing like it is portrayed on television. It is a dog-eat-dog industry and I would venture to say that after many people finish an internship they are turned off by the profession. I will say that it is very tough to break into this business, everyone wants to work in sports. You should start early and work anywhere you can in this industry. Darren Heitner: You have placed a number of basketball players overseas. Please describe the process you go through when seeking an opening and then pitching a player to that team. Austin Walton: Well, I work with numerous of European agents who aide me in helping to place my players overseas. This is the most effective way, because they have formed established relationships in their country and/or region and can communicate much easier than myself with teams for numerous reasons. Now, due to my experience and the amount of players that I have been able to place overseas over the years, I have garnered many relationships with teams as well, so that helps. 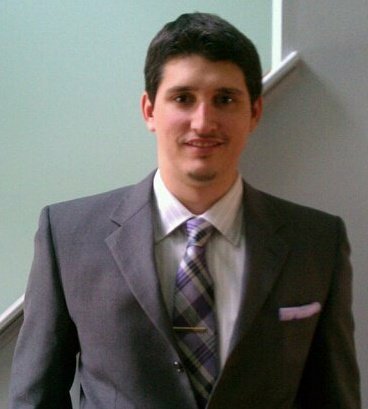 Darren Heitner: Many people are reporting that one of your clients has a good chance of being selected in the 2011 NBA Draft. Tell us a little bit about that man, Andrew Goudelock. Austin Walton: Plain and simple Andrew Goudelock has a NBA skill. He is the BEST shooter in this year’s draft class. He has unlimited range, a quick release, flawless mechanics, and he shoots a very high percentage given the amount of three’s that he took over the course of his career at the College of Charleston. However, Andrew is not just a one-dimensional player. He has shown time and time again throughout this process that he is a scorer who can fill it up in a multitude of ways, he is one of the best athletes in the draft as evidenced by his NBA combine athletic testing scores, and he is an underrated passer and defender. On June 23rd Andrew should be a late first round pick based on the feedback that I have gotten from NBA teams. That is amazing considering the fact that he was not on a single mock draft; not one when he signed with me nor was he even in the top 100 prospects. Everyone considered him an overseas player, but I knew he was more than that. Then, he was dominant at the Portsmouth Invitational and then the New Jersey mega workout. That translated to an invitation to Chicago which allowed him to perform against the elite prospects and he performed admirably. He tested well and had the best shooting performance there over the likes of Jimmer Fredette and Klay Thompson. We worked really hard and have secured him 17 NBA workouts so that he can be seen by every team from picks 17 through 41 essentially. Now, I am confident that he goes somewhere between 23-38 overall. Darren Heitner: Take us through the recruitment process leading up to signing Andrew Goudelock. Austin Walton: It was a similar process to anyone that I recruit, but each client/prospect is unique in different ways. As for Drew, we have a very similar demeanor and approach. We are very confident and do not believe in backing down from a challenge. We wanted to take on the “top” prospects head on every chance that we got. From that a personality standpoint and philosophical standpoint we clicked and due to that he and his family selected me to represent him. Everything else has been history. As for my typical recruiting practices, I do not recruit a ton of players like all of the big agencies, but the guys that I target are players that I have seen personally a bunch of times and I believe in very much. I start the process early and then show consistency throughout the entire process. I talk to them almost daily to build a relationship and show them that I will be by their side regardless. I go to watch them play a few times and then when the season is over I give them a formal presentation that talks about the agency, our plan for them if they were to sign with Walton Sports, and how we will get them to where they want to be. I am honest and straighy forward. That’s it! Darren Heitner: How tough is it to recruit against the larger agencies? What kind of tactics do you employ to separate yourself from the rest of the pack? Austin Walton: I don’t think that it‘s tough recruiting against larger agencies because I know that I will sign at least 1 NBA player from here on out. I simply sell myself; I don’t have anyone else do it for me. I believe in my abilities and I am confident that I can help every kid that I recruit achieve their maximum potential and get them drafted as high as humanly possible because I know their game, make them a priority which is essential during this process because you only get one chance to make the NBA, and I have the time to dedicate myself to them because I do not represent a ton of guys like these other huge agencies. Last, I believe in them as NBA players which is why I invest in them whereas many other agencies do not push that hard for a guy who is labeled fringe player (Not a top 20-25 player) at the conclusion of his college season to make the NBA because they know how much work is required and the amount of money and time that is required. Look at what has happened with Andrew Goudelock for example, almost every big agency recruited him and they all told him that he was going to ultimately be an overseas player so he signed with me because we (him, his family and I) had a great relationship and I thought he had a legitimate shot of making the NBA and I laid out a plan for him which could make that a reality and it will be in a week. He went from a no name to be mentioned in a lot of publications as a first round pick. Darren Heitner: Does WSMG represent anybody else who may have a shot of being drafted this year? Austin Walton: Yes, Randy Culpepper out of UTEP has a legitimate shot of getting drafted this year. He too has had a bunch of workouts and has performed extremely well in all of them. He has gone head-to-head with Jimmer Fredette, Diante Garrett, BenHansborough, Brad Wannamaker, etc. and he was impressive in every single workout thus far. Randy is world-class athlete (43 inch vertical jump), dynamic scorer, good defender and he is an underrated passer and playmaker. At UTEP he played primarily off the ball, but he has shown in workouts that he is a scoring PG who is unguardable in the pick and roll due to his speed and athleticism. He is a very good shooter as well. With the recent success of players like J.J. Barea, Will Bynum and Nate Robinson, the NBA has a place for a diminutive scoring guard like Culpepper. He is one to watch in the last 15 picks. Darren Heitner: Do you think that there will be a 2011-12 NBA season? What concessions need to be made by players and owners in order for a new collective bargaining agreement to be signed before the planned start of next season? Austin Walton: I certainly think that there will be an NBA season in 2011-12. I would expect the lockout to last no longer than the end of December. However, both sides seem to be very far apart at the moment so the next few weeks are very important. There needs to be concessions on both sides for sure. I will not get into what issues need to be dealt with because that is an entire conversation by itself, but there are many issues that need to be hashed out for the NBA to move forward. Darren Heitner: Last, what should we expect from you and WSMG in the future? Austin Walton: Expect very big things! Next year is going to be huge for Walton Sports. I fully expect to have a few guys drafted next season and I hope that will be a trend going forward. We only recruit who I consider to be elite athletes and high character individuals because those are the types of player’s that have long NBA careers. Hopefully, in a few years people will consider WSMG as an agency with power yet still be considered a family-based agency.